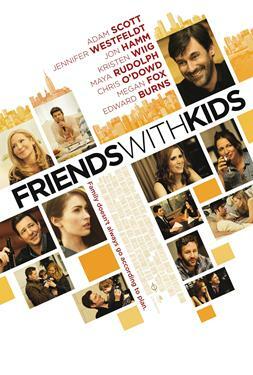 Friends With Kids is a daring and poignant ensemble comedy about a close-knit circle of friends at that moment in life when children arrive and everything changes. The last two singles in the group observe the effect that kids have had on their friends' relationships and wonder if there's a better way. They decide to have a kid together - and date other people. There are big laughs and unexpected emotional truths as this unconventional 'experiment' leads everyone in the group to question the nature of friendship, family and, finally, true love.